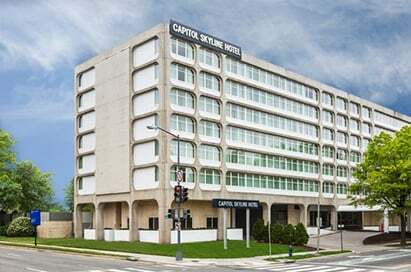 For students of politics there is so much to savour in Washington DC. The 3 pillars of the US government; the President, Congress and Supreme Court are here. Grand buildings and iconic monuments make the city beautiful but it is the power, at the city’s core, that gives it an unmistakable buzz. There is a lot of history concentrated within a relatively small space. 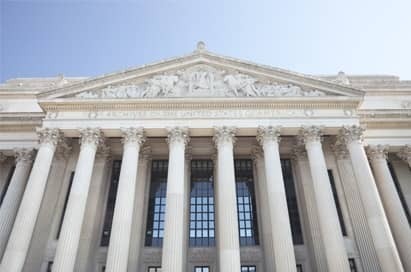 In a single day, you could see the Declaration of Independence at the National Archives; stand where Martin Luther King Jr gave his ‘I Have a Dream’ speech on the Lincoln Memorial’s steps; prowl around the Watergate building that brought Nixon down; and be an arm’s length from where Lincoln was assassinated in Ford’s Theatre. Whatever the discipline your students are sure to feel inspired and humbled by the corridors of power. The White House Visitor Centre weaves together the stories of the White House as a home, office, stage and ceremonial space, museum, and park. More than 90 White House artefacts, many of which have never been on public display, give a glimpse into life and work inside the Executive Mansion. 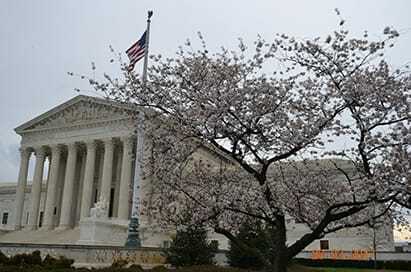 The Supreme Court is the highest judicial authority in the United States. Nine court justices decide whether actions of Congress, the President, the states and the lower courts follow the principles of the Constitution. Only about 100 of the 7000 cases submitted each year are heard. Visitors can explore exhibits, see a 25-minute film, and see the court in session. 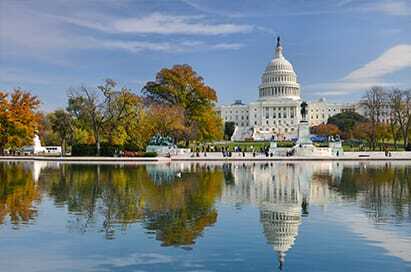 The United States Capitol in Washington, D.C., has housed the meeting chambers of the Senate and the House of Representatives for almost two centuries. Begun in 1793, the Capitol has been built, burnt, rebuilt, extended, and restored; today, it stands as a monument not only to its builders but also to the American people and their government. The Pentagon is virtually a city in itself. Approximately 23,000 employees, both military and civilian, contribute to the planning and execution of the defence of the USA. Tours explain the mission of the Department of Defense and each of its branches of service, and numerous displays highlight and depict significant moments in military history. A vast collection of America’s document, maps, photos, recordings, film and objects taking you on a journey through time highlighting America's struggles and triumphs. 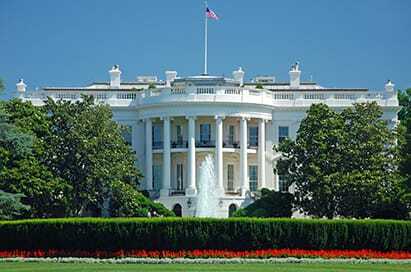 Famous items include the gun that shot JFK, the Watergate Tapes and the Declaration of Independence. Made famous as the place President Lincoln was shot whilst watching the comedy 'Our American Cousin’, the theatre is decorated in the style of that day. The Lincoln museum’s permanent exhibit highlights Lincoln’s role in preserving America’s pioneering effort in self-government. Exhibits include a 5 minute film, letters from the period, and artefacts which trace his growth to his presidential election. The Newseum is a six-level, high-tech and interactive museum tracing the history of news reporting from the 16th century to the present day. It houses 15 theatres, 14 major galleries, two broadcast studios and a 4-D time-travel experience. The exhibition galleries explore news history, electronic news, photojournalism, world news and how the media have covered major historical events. Washington, DC's only presidential museum. 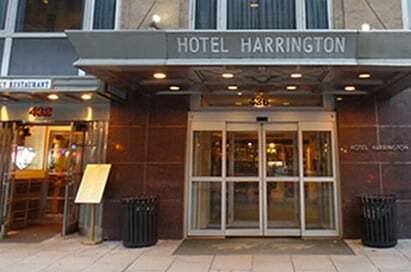 The former home of President Woodrow Wilson and Edith Wilson following their White House years features original furnishings, presidential memorabilia and changing special exhibits. 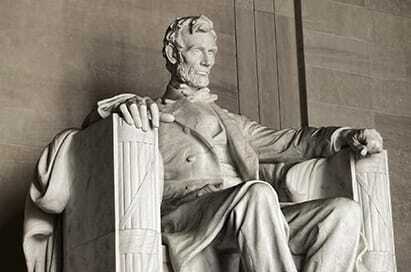 The monument is one of the iconic structures and most popular attractions in the nation's capital. The memorial to George Washington, the nation's first president, has recently been refurbished to its original splendour. Take the elevator to the top and see a wonderful view of the city. Washington DC is a city of monuments and memorials honouring the generals, politicians, poets and statesmen who helped shape the United States. Among the highlights are memorials to Lincoln, FDR, Martin Luther King as well as the veterans of the Korean and Vietnam wars. 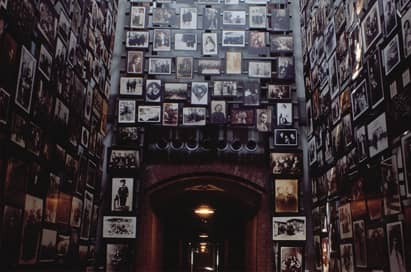 This sombre and moving museum presents a narrative history of the Holocaust. Through artefacts, films, photos and oral histories the permanent exhibition reminds visitors of this dark period in our history which saw the death of 6 million European Jews from 1933 – 1945. There is also a Hall of Remembrance and Wall of Remembrance and special exhibits. 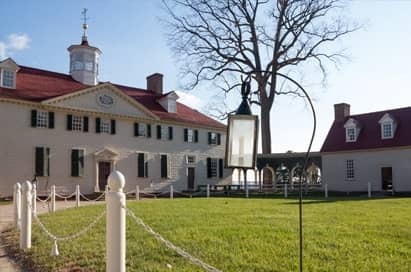 Mount Vernon was the beloved home of George and Martha Washington from the time of their marriage in 1759 until General Washington’s death in 1799. Stretching over 500 open acres overlooking the Potomac River, just 16 miles from Washington D.C, the mansion houses the tomb of George Washington, 2 museums, gift shop & gardens. Monticello is a domed hill-top mansion located approximately 130 miles south-west of Washington and was the home of the third president Thomas Jefferson. Monticello is the autobiographical masterpiece of the author of the Declaration of Independence. He is buried in the nearby family cemetery. 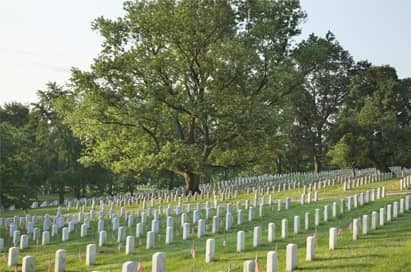 America’s largest national burial ground which was built during the Civil War. Among the thousands of white headstones are the graves of President John F Kennedy and the Tomb of the Unknowns. The site still averages 5000 funerals a year and attracts 4 million visitors. The Museum offers three floors of exhibitions that explore the rich diversity of American history, from "First Ladies: Political Role and Public Image" to "Information Age: People, Information, and Technology". 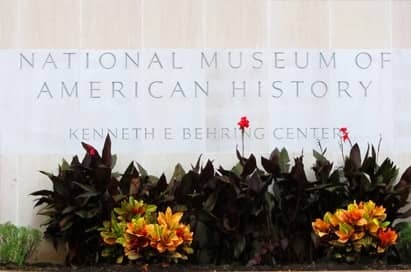 The National Museum of African American History and Culture will explore the richness and diversity of the African American experience and how it has shaped the nation. Areas of interest will focus on the history of the Civil Rights Movement and places it within the wider context of African-American history and experience.